Turmeric is well known for its antioxidant properties among many other benefits, which is why it has become a must-have for many in their daily supplement regimen. Healthy Delights delicious Turmeric Dark Chocolate Bites with their sweet crunchy shell can satisfy your craving for something sweet While packing a nutritious punch with 100 mg of turmeric root extract per serving. Vitamin D has been shown to support bone health and immunity. Healthy Delights Vitamin D Dark Chocolate Bites with a crunchy sweet shell are a delightful treat with 600 IU of Vitamin D per serving. Never has a Vitamin D supplement been so delicious! Vitamin C is well known to support immunity and is a powerful antioxidant! 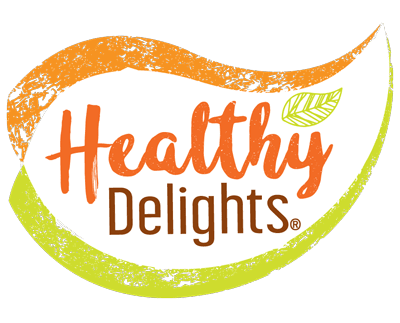 Healthy Delights Vitamin C Orange Cream Bites are fruity and delicious and provide you with 100% of your daily value of Vitamin C per serving. Many individuals choose to incorporate probiotics into their daily supplement regimen due to the support that probiotics provide to the digestive system and immune system. Healthy Delights Probiotic Dark Chocolate Bites provide 1 billion CFUs of probiotics in the form of a delicious dark chocolate bite with a sweet crunchy shell.